Student Q: I want to apply to Harvard. What SAT score do I need? Miss Mary A: Your SAT scores will certainly be taken into consideration on your Harvard application, as will your high school GPA, which should be as close as possible to 4.0 minimum. 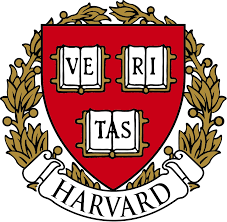 Because Harvard uses a holistic admissions process, more than only your academic standing will be considered. Your extracurricular achievements will be considered as well, like club participation or a unique talent. It will be important for you to show that you bring value to the campus community, not only to the classroom. https://marywanser.com//wp-content/uploads/2018/12/writer-logo-transparent-with-circle-for-site-340x123.png 0 0 englishbooks2014 https://marywanser.com//wp-content/uploads/2018/12/writer-logo-transparent-with-circle-for-site-340x123.png englishbooks20142014-02-14 03:15:052018-03-26 22:10:09Student Q: I want to apply to Harvard. What SAT score do I need?